Tag Archive | "Japan Airlines Corporation"
Here are three Ecuador longevity tips. 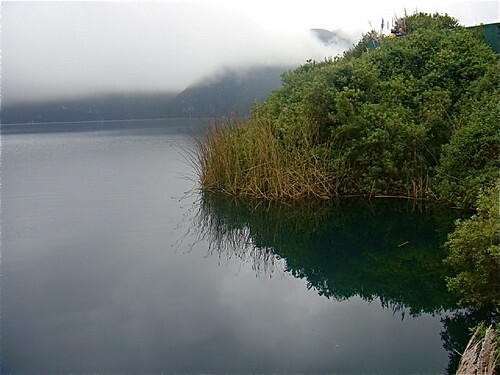 Ecuador is famous for the longevity of its residents. Here are three reasons why. sunset… Ecuador has a consistency of weather… light and dark. Sunset at East Lake Groves. 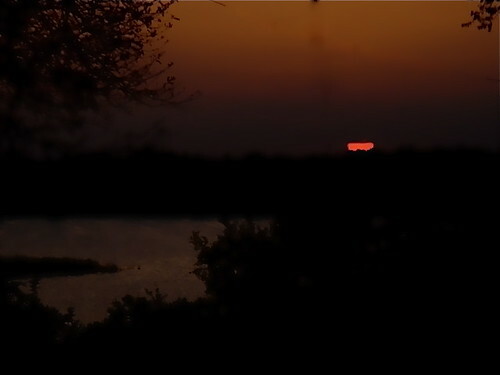 The evenness of sunrise and sunset helps longevity. 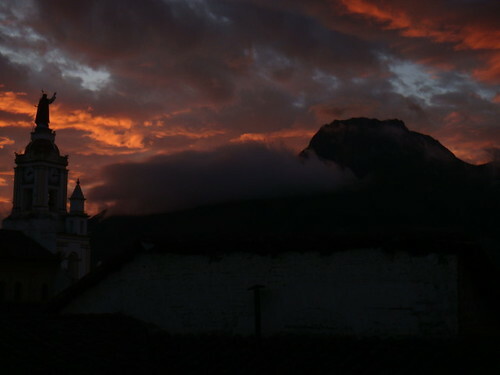 The sun in Ecuador rises every day at 6am and sets every day at 6pm… 365 days a year. Temperature is moderate also and the body likes this regularity. Energy that would have to be expended adapting to changing weather and temperature is saved for other life needs… healing… growing…. resisting disease. Fresher, more natural food and more walking also helps. Here is a this less known but perhaps more important longevity thought that arose because Merri and I live part of the year in the middle of an orange grove. Oranges can teach us many lessons when time is taken to observe… and reflect. One such lesson came from the spring aromas while sitting each morning on our lanai… writing, immersed in this delicate fragrance that is orange blossom. 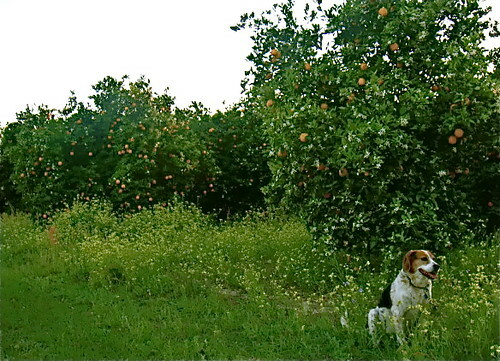 Ma in an orange grove by our house. 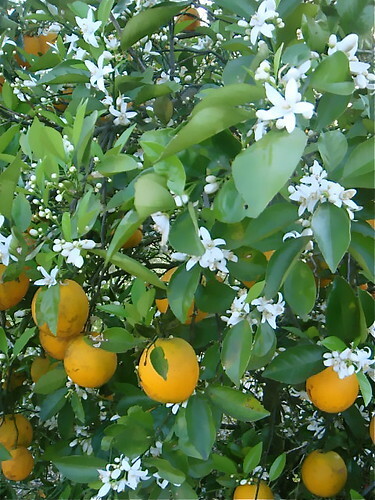 While soaking in this heady scent it was noted that citrus trees have learned to keep their ripe fruit on the vine while producing new blooms”. The old & the new together in an orange tree. 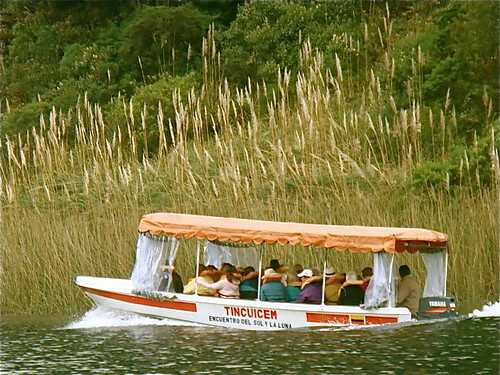 This is a wonderful lesson that also happens to be related to longevity in Ecuador. An Ecuador shaman once told me that one problem in the Western world is that we do not respect endings. No one respects the old. 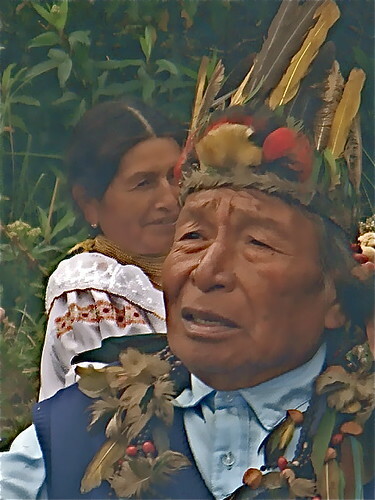 The Ecuadorian indigenous style (the indigenous make up well over half of Ecuador’s population) is to revere age. The older you grow… the more respect you get. 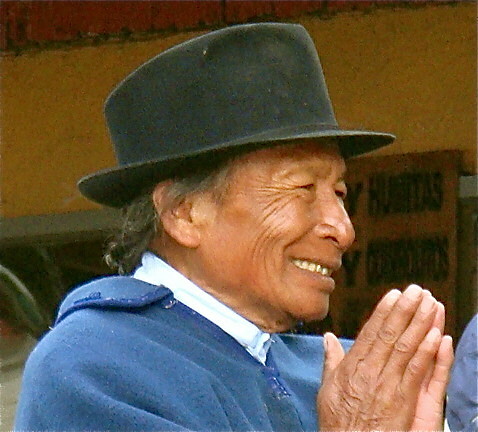 The Ecuador shamanic traditions believe that the youth do the work… but the elders provide the wisdom. 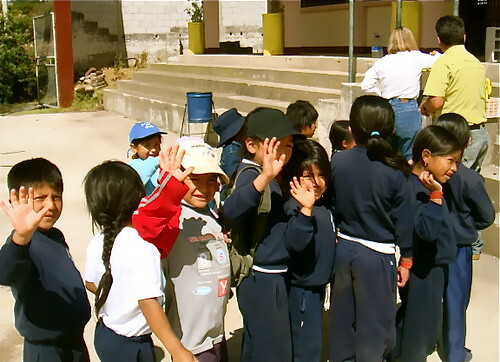 Though all Ecuadorian children are supposed to go to school… in reality many start working at quite a young age. When we are respected… needed, active…. and fulfilled… we live longer. This is good news for those who cannot retire… because of the global economic crash. Retirement can be fatal! An important part of longevity, for those who retire or not, for those who work in Ecuador or not, is to remain independent, challenged, active and needed. 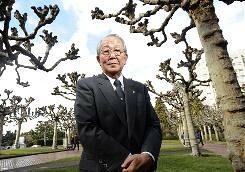 “Kazuo Inamori, the new chairman of Japan Airlines (Japan is another longevity country that respects age) is a good example. Inamori is now 78-years old, has founded two of Japan’s largest companies and recently became the head of JAL to turn it around as it neared bankruptcy. He is showing no signs of slowing down! He is a great example of steady success and shows how continuing to work rather than retire enhances longevity. We can adhere to longevity principles anywhere we live… eat better food… get enough exercise and remain engaged and productive in a fulfilling way. When you follow these principles in Ecuador you get extra bang for the effort from a society that respects age and a climate where there is direct sunshine 12 hours every day. 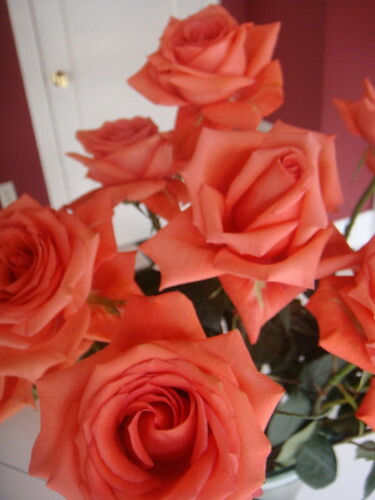 See details about 50 Long Stem Ecuador Roses for Mother’s Day here. Our April Ecuador export course is fully booked but you can still learn about Ecuador real estate. See how to own the view above with these sunsets.